4.2 release will also include a lot of small improvements. New library version provides the possibility of integrating Webix and Vue.js with the help of a special adapter. 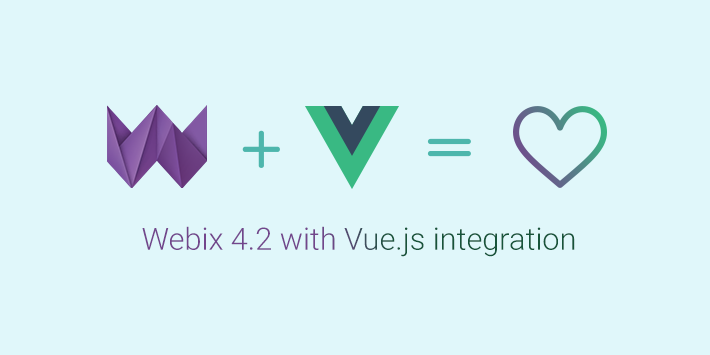 Starting from 4.2 version, you will be able to use advantages of this lightweight and fast MVVM framework inside Webix-based apps and Webix widgets inside Vue.js apps. Webix 4.2 release launched on February, 23.